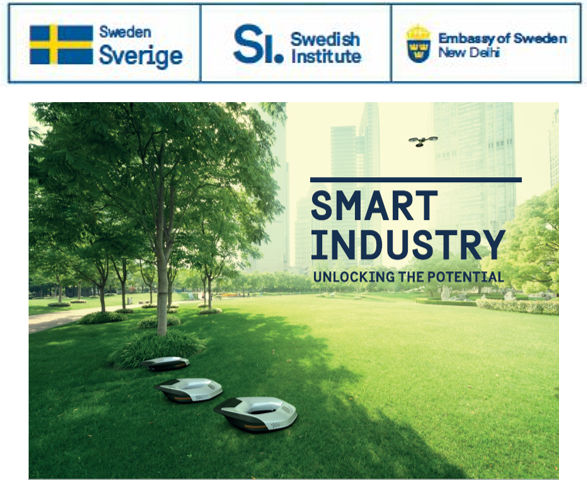 The Embassy of Sweden, with the support of the Swedish Institute, will present a newly developed exhibition of Smart Industry and new materials. This half-day event will feature speakers and participants from Swedish and Indian academia, government and industry. Automation is a future industry of great importance for competitiveness and for the major issues of resource use, energy and the environment in both Sweden and India. These are areas where Swedish industry and academia hold leading positions. This workshop is a good starting point to share Sweden's expertise in this area with relevant Indian stakeholders. An intensive development of new bio-materials is underway. Industry resource utilization needs to be redirected towards increased sustainability and a more circular economy, which will generate solutions to society's challenges, but also bring competitive advantages and opportunities for sustainable growth.